Will counselling, CBT or psychotherapy work for me? Counselling, CBT and psychotherapy has helped many people at difficult times in their lives, by supporting them in exploring and making sense of their individual experience, thoughts and feelings. This process can enable you to move forward with your life in a more positive way, through helping you to understand yourself better and identifying the choices available to you, you arrive at your own solutions. While it is not always easy, I find that those who engage with the counselling, CBT or psychotherapy process usually feel that it has been a worthwhile investment in themselves. Counselling, CBT or psychotherapy works best when you feel comfortable to talk openly with your Counsellor, CBT Therapist or Psychotherapist, so you are free to decide whether you wish to continue, after we have met for an initial counselling, CBT or psychotherapy session. 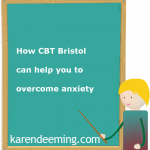 What is your Bristol Counselling, CBT and Psychotherapy Practice address? My Bristol CBT and Counselling Practice address is: 14 Orchard Street, Bristol BS1 5EH. What is the difference between counselling, CBT and psychotherapy? I use the term ‘counselling’ or ‘CBT’ to refer to focused, often time-limited work on particular issues, and ‘psychotherapy’ to describe the open-ended journey of exploration. A Psychotherapist generally has a longer training than a CBT Therapist or Counsellor and therefore is able to study the theory at greater depth and has had more clinical experience, usually, but not always, in working with more frequent sessions, usually more than once per week. What kind of problem can I bring to counselling, CBT and psychotherapy? In counselling, CBT and psychotherapy you can look at a variety of issues. In general, these would be things that are causing you concern about your emotional state. It might be a recent event, or something from the past that is affecting you. Sometimes people are unsure about the cause of their concern or even do not know exactly why they are unhappy. I’m not sure why I want to come to counselling, CBT or psychotherapy. Is it still Ok to come? It is perfectly ok for you to come and explore things. I often have clients who either are unsure why they have come or who have so many reasons that they cannot pin it down specifically. Part of our work together would be to explore and help you clarify and understand, as well as to address any specific issues that arise. If at the end of the counselling, CBT or psychotherapy session you felt you had wasted your time, say so. Similarly, if I felt that it would be inappropriate for you to have counselling, CBT or psychotherapy with me (for whatever reason), we would say so at the end of the first session. When should you seek counselling, CBT or psychotherapy? When you are experiencing these types of difficulties, you may benefit from the assistance of an experienced, trained professional. Professional Psychotherapists, CBT Therapists and Counsellors offer the caring, expert assistance that we often need during these stressful times. A Psychotherapist, CBT Therapist and Counsellor can help you identify your problems and assist you in finding the best ways to cope with the situation by changing behaviors that contribute to the problem or by finding constructive ways to deal with a situation that is beyond your personal control. Why don’t I just talk to friends or family? Some of us may be fortunate in having friends or family who we can talk through our problems with, however there can also be times when they are unable to help. It could be that whatever is troubling you is simply too difficult to talk about with those closest to you, or maybe they offer opinions or advice that may not feel helpful. Sometimes we can also feel that we are over-burdening friends or loved ones with our problems, and wish to protect them by seeking the support we need from elsewhere. What if my problem seems too small? It is possible that because some areas of our lives are going well, we feel that our worries are not important enough to ask for help with. Sometimes this can reflect the deeper issue of thinking that we ourselves are not important enough to invest in, or to take up another’s time and attention. If you feel worried, or sad, or cannot seem to resolve an aspect of your life which troubles you, these are problems which are worth addressing, in order to live life more as you wish to. What if I’ve tried counselling, CBT or psychotherapy before? Each experience of counselling, CBT and psychotherapy is different, mainly because people are not all the same even practitioners working with the same counselling, CBT or psychotherapy model, will develop distinct individual approaches. While each Practitioner varies because they are trained in different theories, research has shown that a good relationship with your Psychotherapist, CBT Therapist, or Counsellor is the most important indicator of a positive outcome. How many counselling, CBT or psychotherapy sessions will I need? There is no single answer to this question, since people’s needs vary. I offer both short-term counselling and CBT, usually six to twelve sessions, and longer-term open-ended psychotherapy. We would discuss what might be appropriate for you in the initial session, and regularly review this question, to allow for change and development. If you decide to attend subsequent sessions I would encourage you to prioritise these as a commitment, however it is always your decision how long you wish to commit to counselling, CBT or psychotherapy for. Will I have to talk a lot about my past in my counselling, CBT or psychotherapy sessions? Counselling and CBT offers you the space to talk about what you need to. Some people wish to focus on current situations or recent life events. For others, it may be helpful to revisit a past event if it continues to affect the present. If you feel you are stuck in repeating patterns of behaviour or relationships, it can be useful to look at how these might have arisen. Will I feel worse before I feel better when I undertake counselling, CBT or psychotherapy? The counselling, CBT and psychotherapy process can feel hard at times when difficult thoughts and emotions are explored, but as your Psychotherapist, CBT Therapist or Counsellor, I would support you to do this safely and at your own pace. There can be times when words fail us, and some people benefit from using objects, pictures or creative methods to help them express themselves. Yes, there is a comfortable waiting area for appointments after 830am and before 1730hrs. Do you offer telephone or online counselling or CBT ? 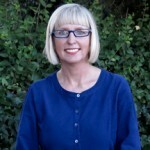 I offer face to face counselling at my Bristol and London Practices. On line counselling, CBT and telephone counselling is also available. CBT is a short-term talking treatment that is evidence-based and has a highly practical approach to problem-solving. It aims to change patterns of thinking or behaviour that are behind people’s difficulties, and so change the way they feel. Do Psychotherapists, CBT Therapists or Counsellors work to any ethical guidelines? Yes please refer to the website: The British Association for Counselling and Psychotherapy. How long do I need counselling, CBT or psychotherapy for? In one sense, you can come for as little or as long as you want to. I firmly believe that you are the adult paying customer and that you will make you own decisions about your own counselling, CBT or psychotherapy (hopefully using discussion with me as part of that decision making process). 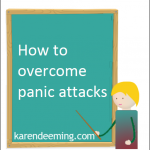 Behind that question is often a fear that people will get trapped in counselling, CBT or psychotherapy and have to stay longer than they want to or need. I want to emphasise that I am a professional practitioner who abides by a code of professional ethics. I will not encourage you to stay longer than I feel is necessary, and you are free to stop the process at any time. I am committed to having regular reviews with you to check that the process is working for you and to discuss with you what (if anything) still needs to be done. Some people come for a few sessions, some for much longer. Initially I encourage clients to think in terms of committing for three sessions because it often takes that long to understand the problem, build a therapeutic relationship, and to achieve any change. You will have a sense of whether or not what you want to talk about can be helped in the short or longer term. I also find that some people occasionally want to come back for a short period of time after a break. For example you may spend 15 sessions doing some really important work, but then find that two years on, you want to come back for one or two more, to reinforce that change and adapt it to new circumstances. I am happy to offer that facility.